I buy this coffee In the Blue Mountains from the smallest of farms, usually in 20 to 40 pound lots. This is one way we help out the new farmers, old-timers, and small timers. It helps keep people from leaving the mountain life for the city. 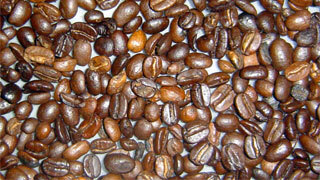 The quality of this coffee varies, but it is definitely 100% pure Blue Mountain coffee in character and taste. It is all naturally grown without the aid of fertilizers or pesticides, and is picked and processed by hand. If you would like to check out Jamaican Blue Mountain at a reasonable price I highly recommend this coffee.